Here in New York City, Mayor Bloomberg has ordered the mandatory evacuation of approximately 370,000 people from low-lying coastal areas (so-called "Zone A" areas, marked in orange on the map above, along with all of the Rockaways) before 5:00 p.m. today. See the NYT here for more details. Subways and the airports will be shutting down at noon. Evacuation centers have been open in designated schools, gyms and community centers since last night. Most other businesses city-wide will shut down at noon today along with public transportation. I live close to, but not in, Zone A. My particular block is not subject to mandatory or recommended evacuation. I walked this morning for about an hour through Zones A (orange) and B (yellow) in Lower Manhattan. Almost all restaurants and shops -- other than grocery stores -- are closed in Zone A. In Zone B, I saw open two restaurants and no stores other than grocery stores and corner markets. Judging solely by foot traffic and lights on in apartments, it appears that evacuation-notice compliance is high in Lower Manhattan. A residential facility for seniors in my neighborhood is completely dark. From talking to friends and neighbors, my sense is that for many residents, the memories of September 11 are too fresh to have to be told twice to leave. Even so, there are plenty of people still occupying their employment posts in the neighborhood -- hi-rise building staff, maintenance workers, garage attendants, grocery store clerks. Depending on the specifics, they may not have the option to leave. For now, we wait. In the meantime, I give high marks to the Mayor for clarity and communication. Regular press releases, news conferences, television appearances have included clear instructions about when and how to evacuate, an emphasis on assembling an emergency kit in case one must leave home quickly, and requests for everyone to check on neighbors, especially senior citizens and others with special needs. A law school shall not continue the enrollment of a student whose inability to do satisfactory work is sufficiently manifest so that the student’s continuation in school would inculcate false hopes, constitute economic exploitation, or detrimentally affect the education of other students. That's academic performance, not job prospects. The alternative would be for a school to vary its grading rigor according to student job prospects. But the problem with just "failing out" more students is that academic attrition rate is one of the factors used by the ABA in determining whether a law school has violated Standard 501(b) by admitting unqualified students. Interpretation 501-3. If a school wants to reduce its output of graduates to those who can get jobs that pay well enough to justify the price of admission, the school needs to start reducing its enrollment. I see that Paul Caron is blogging about the new paper by Joni Hersch and W. Kip Viscusi (both of Vanderbilt Law School), entitled "Law and Economics as a Pillar of Legal Education," which is now up on ssrn. Lots of good stuff to talk about in there. For instance, about 32% of faculty at the top 13 schools have Ph.Ds. I didn't realize that recent hiring has been so phd-centric at those schools. Also, I was somewhat surprised by table 1 ("Educational Profiles of Faculty at the 26 Highest Ranked Law Schools"). Of the 1338 faculty at the top 26 schools, 65 have only a phd (and no law degree). This paper reports the distribution of doctoral degrees in economics and in other fields among faculty at the 26 highest ranked law schools. Almost one-third of professors at the top 13 law schools have a Ph.D. degree, with nine percent having a Ph.D. in economics. Law school rank is highly correlated with the share of faculty holding a Ph.D. in economics and is less correlated with the share of faculty with other doctoral degrees. Law and economics is a major area of legal scholarship based on citations in the law literature and other impact rankings. In recognition of the increased importance of law and economics in legal education, in 2006 Vanderbilt University established a joint J.D./Ph.D. program in law and economics. We provide information on the genesis and operation of the program. It must be fall, if the next generation of rankings scholarship is going up on ssrn! The University of California, Hastings College of the Law invites applications to fill two to three positions from either lateral candidates with a proven track record of scholarship or entry-level candidates with strong scholarly potential. Depending on the qualifications the appointments will be either with tenure or on a tenure-track. We are particularly interested in candidates with teaching and scholarly interests in constitutional law, administrative law, civil procedure or professional responsibility. UC Hastings is is an Equal Opportunity Employer with a strong commitment to hiring a diverse faculty. UC Hastings College of the Law was founded in 1878 as the first law department of the University of California, and today is one of the top-rated law schools in the United States. Its alumni span the globe and are among the most respected lawyers, judges and business leaders today. Our faculty are internationally renowned as both teachers and scholars. Interested candidates should submit a cover letter and curriculum vitae to boswellr@uchastings.edu or by regular mail to Professor Richard A. Boswell, Chair Faculty Appointments Committee, University of California, Hastings College of the Law, 200 McAllister Street, San Francisco, CA 94102. While playing around on Expresso lately (yes, it's that time of year! ), I noticed not for the first time the option when you're trying to expedite an article of deciding not to disclose the journal your offer came from or the date on which it expires. I've always wondered why anyone would choose not to disclose this information unless: (a) they didn't really have an offer from another journal, but that doesn't make sense because surely authors wouldn't lie about something like that; or, (b) they are embarrassed by the perceived "level" of the journal that made the offer. Won’t double down on us. Over at The Atlantic, Daniel Indiviglio has a stunning Chart of the Day: Student Loans Have Grown 511% Since 1999. The chart compares the growth in all student loans (not just law-school debt) to other household debt, which only grew by about 100%. * * * Student loan debt has grown by 511% over this period. In the first quarter of 1999, just $90 billion in student loans were outstanding. As of the second quarter of 2011, that balance had ballooned to $550 billion. The chart above is striking for another reason. See that blue line for all other debt but student loans? This wasn't just any average period in history for household debt. This period included the inflation of a housing bubble so gigantic that it caused the financial sector to collapse and led to the worst recession since the Great Depression. But that other debt growth? It's dwarfed by student loan growth. Again, he's talking about higher-ed in general. But law schools, too, are being asked to do more at a time when other funding sources are also becoming more limited. (See, Hunkering Down, Colleges Rethink Financial Strategies.) States have been cutting their funding of public education, especially for professional schools. All this at a time when law-school debt is already high, and the job market for JDs is hardly robust. I'm just back from a week in Park County, Wyoming, where the Heart Mountain Interpretive Learning Center was opened to the public. It was an unforgettable few days. I'm still absorbing it. One of the highlights was a stunning speech by Tom Brokaw at our dinner in Powell, Wyoming, on Friday evening. Here are some excerpts. They're just under 6 minutes in length, and really worth the time. Those of you who, like me, teach along the coast know exactly to whom I am referring. Irene is the name of the first hurricane of the 2011 Atlantic hurricane season. Current models show Irene strengthening into a Category 3 storm before hitting the U.S. later this week. The Weather Channel - my near constant companion during hurricane season thanks to the free app - currently predicts landfall in the "Carolinas" on Friday night and/or Saturday. Unfortunately, for those of us here in Charleston, the "Carolinas" is a rather large geographic area, which means I may see some clouds on Friday, get a bad rain, or be 100 miles from home because I evacuated. I wish all of us in the predicted path of Irene the best of luck as we watch this play out over the next several days. THE UNIVERSITY OF WISCONSIN LAW SCHOOL invites applications for one or more tenure-track faculty positions to begin Fall 2012 (negotiable). Applications are welcome across legal fields and at the intersection of law and other academic disciplines. The University of Wisconsin Law School has a strong institutional commitment to diversity of all types, and we encourage applications from those whose backgrounds can further contribute to the diversity of the faculty. Applicants should submit a letter of interest, current résumé (including a list of teaching interests), a research agenda, and references to: Professor Anuj C. Desai, Chair, Faculty Appointments Committee, University of Wisconsin Law School, 975 Bascom Mall, Madison, WI 53706-1399 (or via e-mail to <acdesai@wisc.edu>). The University of Wisconsin-Madison is an affirmative action/equal employment opportunity employer. Via Al Roth comes news of this Kenan Institute for Ethics profile of my colleague, Kieran Healy, which explores the question: Should there be a market in human organs? But what is really wrong with having a market—a system for buying and selling—our own organs? Certainly, there’s little doubt that it would have some unpleasant aspects. There would be many cases where a wealthy individual bought a kidney from someone much poorer. The prospect of the poor literally giving up their bodies to the rich is enough to make many people recoil in disgust. . . . In the end, there is less of a division between gift-giving and market exchange than we might think. Incentives are not incompatible with the kind of moral obligations associated with donation. We may wish for a bright line between virtuous gifts and selfish markets, but the boundary is constantly crossed, in both directions. For example, gifts can be easy vehicles for getting people in your debt, or obtaining something for free, and people calculate very precisely what the “right” amount to spend on a present is when birthdays or holidays come around. On the other hand, markets routinely have strongly moralized aspects, as we take care to pay people in ways that signal our esteem for them. We discreetly reimburse people for their time, or give them an honorarium, say, rather than paying them in cash by the hour. A lawful market in organs would probably be considered more legitimate if it resembled a gift exchange, as we see already taking place in the case of human eggs, where the language of donation predominates even though the eggs are bought and sold and prices are widely advertised. However, even today, with the exception of kidneys, you can’t get a transplant unless you have the insurance to pay for it, despite others’ willingness to donate their organs. So why should people feel any obligation to give to a system that serves those who need it so poorly? I agree with Kieran that financial incentives for human organs are more likely to win social acceptance if they resemble the gift-based allocation systems that have already gained social legitimacy. And the oocyte market – a clearly market-based system with the trappings of gift, including the language of donation -- is a good example of this phenomenon. In fact, as I’ve discussed before, this disconnect between market realities and gift narrative is an important feature of many taboo trades. By normalizing otherwise jarring transactions, gift narratives may facilitate markets that otherwise would stagnate under the weight of social disapproval. For those, like me, who believe there is social value in enabling the infertile to reproduce or those dying from kidney failure to live – and, by corollary, allowing those who consider themselves better off by the receipt of compensation in exchange for an egg or kidney – to do so, this is a good thing. Gift-based exchange regimes are typically governed by a different set of legal rules than are market-based exchange regimes. We tend to recognize, for example, the possibilities for opposing interests and opportunistic behavior in a regime of market-based exchange. And many legal rules governing market-based regimes are designed with these considerations in mind. In contrast, we often assume (incorrectly, especially when the gift is one in name only) an absence of opportunism and an alignment of interests in the case of gift-based exchange. Much of what women have market power over, such as their sexual and reproductive services, they have long been expected not to commodify at all. Even when monetary compensation is allowed, it is often kept low and female providers are expected to be interested in rewards other than money. The continued insistence that egg donors are, and should be, motivated primarily by altruism and the desire to help others, rather than by the desire for monetary compensation, threatens to reinforce gendered notions that the market activities of women are driven in large part by altruism and that women as a group are uninterested in reaping the full gains of trade from the provision of their goods and services. More directly, as Rene Almeling has documented, there is significant societal pressure for egg donors to profess altruistic motives, and oocyte donor agencies and consumers dislike egg donors who appear overly money-motivated. Do these attitudes affect compensation negotiations? Are prospective oocyte donors able to drive the hardest economic bargain without signaling a disqualifying character flaw—an overriding interest in monetary compensation? In the absence of accurate oocyte pricing data it is impossible to know for sure, but the possibility cannot be ignored. Treating market-based exchange systems as if they were gift-based can lead to a variety of distortions. For example, strict limitations on market exchange for products and services destined to be undersupplied by gift-based systems may lead to black and gray markets, whose participants are left without the regulatory protections that legal markets might provide. And in the oocyte market, the narrative of donation has for many years distorted analysis of the market, facilitating open agreements to limit egg donor compensation of they type long considered per se illegal in less emotionally-charged settings. But rather than accepting the oocyte trade for what it is – a profitable industry -- the starting assumption has been that the egg market must differ from other markets because egg donors are engaged in a form of philanthropy that distinguishes them from suppliers in other industries. These restrictions on egg donor compensation are only now facing legal challenge, prompting a re-evaluation of the ethics of donor compensation limits among many in the fertility industry. In the end, gifts in name only represent a trade-off. On the one hand, the language of donation coupled with the realities of market-based exchange has the capacity to legitimate otherwise troubling exchanges, facilitating life-saving operations and parenthood for the infertile. At the same time, gift-in-name-only exchange has consequences for the social, legal, and market structure of these industries, and for the consumers, producers, and others, including the public-at-large, affected by them. Is the Statistical Abstract Headed to the Compost Heap? 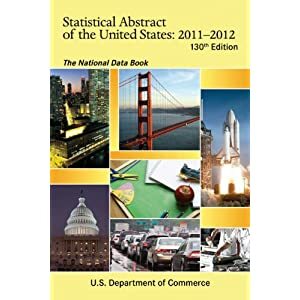 Robert Samuelson writes (here) in the WaPo about the planned obsolescence of the Statistical Abstract of the United States, the venerable, "authoritative and comprehensive summary of statistics on the social, political and economic organization of the United States." Yeah, yeah, most of the info is available on the web elsewhere, but the Statistical Abstract is usable, reliable and, in most cases, better annotated than, say, Wikipedia (I'm not knockin' the 'Pede...it's handy sometimes). Say it ain't so, Census Bureau. How long should you have to go to school to become a lawyer? In most states, the current model of admission to practice law requires that a person have J.D. Before a person can get a J.D., the person must have received a Bachelor's degree of some kind. For most persons, that means seven years of full-time study: four years, of college and then three years of law school. Some universities and law schools offer so-called 3/3 programs, in which a person is admitted to law school after only three years of college, then takes the usual three years of law school, and gets both a Bachelor's degree and the JD. So seven, occasionally six, years of post-high-school formal studies to become a lawyer in the U.S. In most other countries, the law degree is the first college-level degree--an LL.B.. But persons with foreign LL.B. 's generally cannot sit for one of the U.S. Bar exams. In some states, a U.S. LL.M suffices, but often such persons must also get a J.D. the equivalent of two years of college, as evidenced by a score of 50 or higher (out of 20 to 80) on designated course exams of the College Level Examination Program. Guidelines for Accredited Law School Rules, Rule 5.1. That takes it down to six years. Rules of the State Bar of California, Admission to Practice Law, Rule 4.26, as amended (emphasis added). It will be interesting to see what the California Bar has in mind. Update No. 1 As I noted in the comments, the Bar was making extensive changes to its rules. The LL.B change may only have been to make the rules conform to the statute. Yes, the JD is a "recent" development. When I went to law school I got a JD, but, at the time I was born,even ABA-accredited law schools issued LL.B degrees. 2/4 students with at least 60 semester-hours (90 quarter-hours). In an extraordinary case, a law school may admit to its J.D. degree program an applicant who does not possess the educational requirements of subsection (a) if the applicant’s experience, ability, and other characteristics clearly show an aptitude for the study of law. The admitting officer shall sign and place in the admittee’s file a statement of the considerations that led to the decision to admit the applicant. If you are applying to Cooley Law School under the two-year rule and you meet the index requirement for Regular Admission, your file will be reviewed by the Faculty Admissions Committee. The Committee will determine whether you have the maturity level sufficient for the study of law and for beginning law practice. You will be required to write a statement (1) explaining why you want to start law school without a bachelor’s degree and (2) convincing the Committee to accept your application. I blogged a while back about an online course I have been taking which is purely via distance education (ie no residence requirements, weekends, seminars etc). There is also no webcasting or videoconferencing so it relies completely on electronic discussion boards, online assessments and .pdf teaching materials. I mentioned previously that one of the advantages of the course is its anonymity. As it is not a professional training course, anonymity actually seems to be a good thing and people are not abusing the privilege of working with pseudonyms by writing inflammatory or inappropriate items. However, one serious downside of this method of teaching (particularly with no instantaneous form of communication with classmates) is that we are completely reliant on discussion threads to communicate with each other. As such, sometimes one can lose the thread (literally) of an interesting discussion. It is very hard to keep track of all the discussions threads one may have contributed to, and sometimes a promising conversation gets lost in the shuffle. I wondered if anyone has experienced better ways of teaching/learning online than use of discussion threads? Or better ways of organizing discussion threads than merely query by query? Because the course is international, the discussion thread modality deals really well with the time differences between classmates, but doesn't deal well with organizing discussions. On the 170th anniversary of the Nat Turner rebellion -- which began on August 22, 1831 -- I thought that I'd post a little on the Civil War. It would have astonished Turner and the rest of Southampton's residents, I think, if they could have seen how quickly slavery was coming to an end. Heck, it would have astonished Harriet Beecher Stowe who as late as 1856 was writing about how she saw so little hope for the end of slavery. A couple weeks back I posted a picture of a monument (a plaque) with property law in it -- this time it's a plaque with cemetery law in it -- about the 1867 act that made desecration of a National Cemetery a federal criminal offense. I'm curious if that plaque is there to remind people that desecration is a crime; I'd hardly think that would be necessary at Gettysburg. I'd be shocked if someone were desecrating that cemetery. But then again, what other purpose would that sign serve in the cemetery? I must confess that I don't ever remember reading this part of the act when I was working on cemetery access -- though I'm delighted to see that it prohibits cutting tress and bushes -- as well as destruction of memorials. When I resurface in lovely Chapel Hill I really need to look a little more in the federal criminalization of cemetery destruction. Below are links to hiring announcements that we have mentioned in recent posts. I'll run this summary from time to time through mid-September. I invite other law schools to send along hiring announcements that we can post here. Please include curricular needs and the hiring contact. Please use this email address: zinneckert@campbell.edu. Loyola (Chicago): here, here, and here. I've been enjoying Neely Young's new book Ripe for Emancipation (and here on books.google), which I picked up recently in the Washington and Lee bookstore. It's a study of the antislavery movement in Rockbridge County, Virginia (of which Lexington is the county seat). And what I particularly like about it is that it links intellectual history -- like the Enlightenment-based ideas of freedom that prevailed in the early nineteenth century -- to the practices of emancipation via will and inter vivos that took place over the first sixty years of the century. Of course, those ideas declined in popularity in Rockbridge County as they did everywhere in the south over the pre-war years, though there was more persistence of the ideas there than in many other places. A couple of things are particularly interesting to me -- Young studies the Rockbridge County probate and deed records to get a pretty comprehensive sense of the emancipations that took place; it looks like something on the order of 5% of the enslaved people in the county were freed over this time, though it may have been somewhat more than that. Not a lot, by any means. One of the many insights that I gained from Young was the understanding -- however laughable it was to many people at the time and to us now -- that the anti-slavery southerners sincerely clung to the idea of colonization a part of emancipation. This, perhaps, helps us understand just how effectively Thomas R. Dew ended the movement for emancipation in Virginia when he showed that colonization wasn't economically feasible. Thus, anti-slavery in the south had little future, if it had to be linked to expelling newly freed people from their homes and even transporting them to Liberia. The viable options in the minds of Virginians made termination of slavery impossible. Couple of other points. First, by focusing on anti-slavery (and its decline), we miss the rise of the proslavery movement in Rockbridge. I'm going to be talking a lot more about this in the next month, but I think it's important to view both of these movements together, to see the power of the proslavery argument. While you have some forward-thinking and brave people -- often faculty at Washington College, like Henry Ruffner and George Dabney -- they are relatively unimportant when balanced against the proslavery thinkers and actors, even in Rockbridge County who are saying things like the virtues of slavery are beyond dispute and the only thing worthy of discussion is how to secure slavery as an institution. I love intellectual history -- and the history of Enlightenment thinkers in particular -- so I very much enjoyed reading Young. I don't mean to be implying that he makes the anti-slavery ideas out to be more powerful than they were; I just think it's important to see the ideas in context to understand how limited they were. Second, Young discovered that something like 19 testators in 1860 provided for emancipation of their slaves, which is substantially more than any other year before then (the next largest in a single year was 12 in 1828). That leads me to a question...why? Wills, of course, are often written years before the testator dies and thus may reflect the sentiments of people a decade or more before. But clearly something unusal was going on in 1860 ... besides the election of Lincoln and the movement for secession. Anyway, if you're looking for a very fine study that links ideas and social history, I would urge you to look at Young's important book. And here's a discussion of the cover by the artist who drew it. Mark Auslander has an editorial in tomorrow's Atlanta Journal Constitution on questions inspired by The Help: "Did African-American women domestic workers, as the film and novel imply, truly love their young white charges? Or were they putting on skilled performances for the sake of economic survival?" He returns to the subject of his imminently forthcoming book, The Accidental Slaveowner, to address the historical roots of those questions. This raises a different set of questions for me, because I study proslavery thought: how often did slaveonwers have genuine affection for their enslaved human property? And what were the boundaries of that affection, to the extent it existed. There's a huge literature on this -- some of it, like Annette Gordon-Reed's The Hemingses of Monticello and Bernie Jones' Fathers of Conscience, deals with people who were owned and were family members; sometimes those owners freed their family members -- or attempted to do so. But much more common were cases where enslaved people were brutalized by their owners. It's easy to forget that amidst the images of moonlight and magnolia and the critique of the free labor system so common in pre-war southern literature that charged, in essence, free workers had worse living conditions than slaves. I usually have a stack of "fun" reading on my night stand. Currently, the stack includes The Piano Shop on the Left Bank (a re-read actually of a quirky book about living in Paris), and Daniel Silva's new book Portrait of a Spy (the latest in the Gabriel Allon series). I often collect recommendations from colleagues, and a friend recently told me about a book recommendation website: Whichbook. You can select up to four different qualities in the book (happy v. sad, funny v. serious, easy v. demanding, etc.) The site then gives you recommendations, which include the title, an excerpt from the book and "similar" books. The Whichbook site has helped me move outside my reading comfort zone with some unexpected recommendations. Give it a try!